When 9th gen entered, I don’t think I mentioned my first impressions of them, so I’ll say it now and add my new thoughts on the girls. Fukumura Mizuki, 4th gen egg (3 yrs experience) – pretty girl but I didn’t really know who she was. I knew she replaced Yuuka as Amulet Heart in Shugo Chara Egg but that was all I knew about her. Since joining, she carries herself really elegantly and is very soft spoken and respectful. Her voice is the best out of all 9th gen. I quite like her I just wish she would loosen up a bit more in interviews like when she’s on HPT with the other 9th gen members. Ikuta Erina – The KY member and AKB fan. She looked so nervous and incredibly awkward when she joined. I did feel sorry for her from all the crap she was getting for being an AKB fan. Since joining, she’s lost her nervousness but still has her awkwardness which I find really endearing. But boy can this girl chat. I watched her E-Hello DVD and majority of the DVD was her chatting away. She’s a very pretty girl and I can see her and Sayu stalking the other members as time goes by. Sayashi Riho – a pretty and very talented girl, was the obvious choice for 9th gen. I didn’t really take to her. Since joining, she’s still low on my rankings but that’s mainly due to my habit of refusing to like what is shoved in my face. I do feel that her promotion is a little over the top especially since the only thing she’s done to deserve it is just be there. Yes she is talented but singing wise, her voice gets on my nerves and she looks a little smug. Don’t get me wrong, I think that she works very hard and has improved quite a lot. She is a very talented dancer and MM needs strong dancers but vocally, she’s nowhere near ready to be getting solo’s. If anyone out of 9th gen is ready for solo’s its Mizuki. Suzuki Kanon – the girl with the biggest smile. My initial reaction to her was that she was a happy child. Since joining, every time I see her or see a picture of her, I can’t help but smile. She has the most personality out of all MM and her bug impressions have me in stitches every time. Her vocals have developed greatly and I can see her having a lot of power in the future. The only thing I’m worried about is her weight. I’m not knocking her weight, I think she’s healthy but management are treating her like they treat Maasa and Risako, by covering her up more to hide the fact that she is a little bigger than the other girls. But I don’t see her losing it anytime soon, especially with the way she eats. When 10th gen auditions were announce, I wasn’t really surprised. UFA knew that 9th gen wasn’t up to taking over Aichan vocally and that in order to start a proper come back to their original theme (the constant additions and graduations that the group is known for) they had to look for more girls ASAP. The girls chosen to go through to training camp were incredibly talented and this audition had me on the edge of my seat wondering who Tsunku and UFA (come on now, who exactly still thinks that Tsunku has the final say on who joins?) were going to pick. So when the announcement finally came, I was very pleased for all the girls that made it. Iikubo Haruna, The model – incredible beautiful young lady and her age bridges the gap between Aika and Fukuhime. I can already see her taking over as the fashionable Musume. I’m hoping that UFA will try to continue with her modelling as it is a good way for them to not only promote her but also MM. Ishida Ayumi, Dorothy Little Happy back dancer – A ready-made idol. I think she is an amazing dancer, better than Riho. Her singing needs work but at this stage, she has more skill in singing then Riho did when she auditioned. She’s going to get pushed quite quickly. I hope that maybe UFA could get together with DLH’s agency and maybe do either a collaboration event or single as that could not only gain MM new fans but also promote DLH more. Satou Masaki, No experience – The H!P fan. During the auditions she didn’t look very confident but she was the most improved girl in that audition and deserves to join for that reason. Having someone that actually listens to criticism and improves on weak point quickly is a really good thing as UFA can mould her into anything they want. She’s more nervous than Eripyon was and is so quite. Hopefully she can overcome this and shine as the only current member from Hokkaido, something she should be proud of as the other members who came from there did great in and out the group. 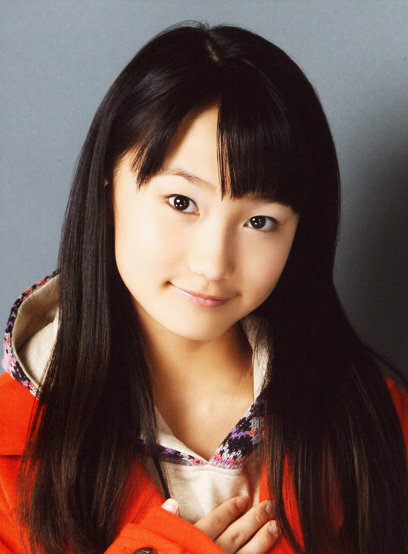 Kudo Haruka, 9th gen Egg (1 yr experience) – Officially THE youngest girl to join MM age the tender age of 11. Experience wise, Ayumi has it but vocally, Kuduu has it. Her voice is like velvet on the ear. Within a few years she should be at Aichan level IF UFA invests properly. She is the girl the MM needed to replace Aichan due to her vocals, all that’s left is for UFA to actually use her more than they use Riho. When she announced that she was leaving, I wasn’t very shocked but I was wondering if UFA really thought that the 9th gen were strong enough to fill the hole that Aichan would leave. I knew that she had to go in order for MM to start fighting again but I was hoping that it would be next year not this year. It still doesn’t feel right watching the new MoBeKiMaSu PV without Aichan taking lead. It feels wrong somehow having Tanaka being the lead in that single. It’s going to be so weird from now on. Her final concert was a perfect tribute to her. Yes Mr Moonlight wasn’t the best choice to start the concert but it was the first ever song she released with the group and is a big crowd pleaser and the costumes were exquisite. Her ceremony was very emotional. I really felt for Risa, Sayu, most of 9th gen and the fans as she was a real jewel that deserved everything she got. She will be sorely missed. Aika. Aika, Aika , Aika, Aika. Poor girl. Never really stood out and now is off sick with a bum foot. This is not meant to sound mean but I really think she should graduate now. Taking nearly 7 months off is something not heard of for a member of an idol group. Most girls with serious injuries leave the group as to not hold them back. But to be honest, I haven’t really missed the girl. If it was Reina than yeah I could see how UFA would be trying to keep her as she is a front girl. 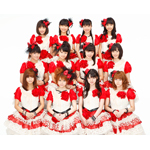 Same goes for Sayu as she is MM’s most popular member and I can’t see them getting rid of her for now. But Aika hasn’t done anything. She hasn’t shown us why Tsunku choose only her out of the 8th gen auditions. Both Koha and Konkon showed everyone why they deserved to have been chosen. I wish Aika a speedy recovery but I’m waiting for her graduation announcement although i know that it will be Gaki next. Please Miniskirt Postwoman? I want more of this.